The BlackJack card game is one of the most popular casino games in the world. Even though Asian casino market is growing fast and has different kinds of games to share. BlackJack holds its leader’s position during all the card games, however. Every at least a bit bigger online casino invites their players to play Online BlackJack, so finding the right place will not be difficult. 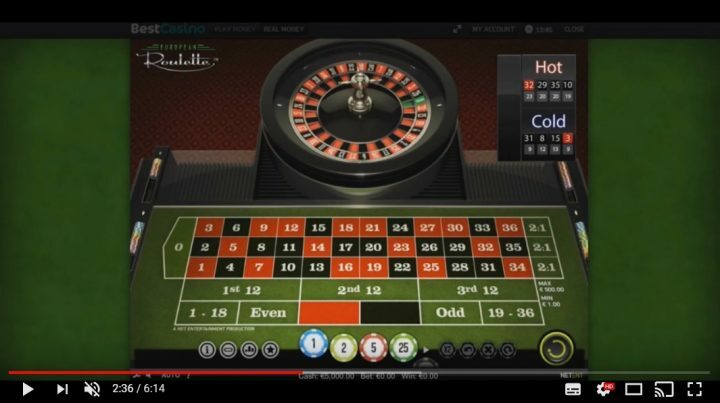 21 Black Jack Online game is very similar to the real casino. It is you with other players, and a card dealer, a casino representative. It can be automatic, or it can be a real person dealing real cards (Live Casino Games). 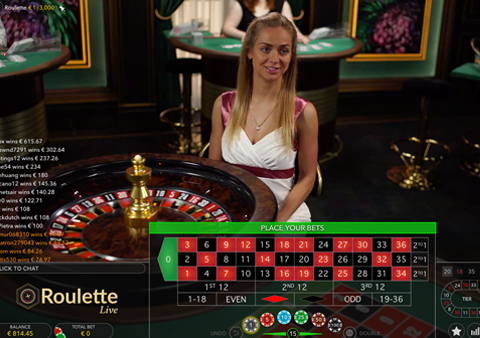 Test the Live Casino BlackJack game in our recommended casinos: 888Casino, Betsafe, Unibet, Betfair. Below we explain how to play this game. 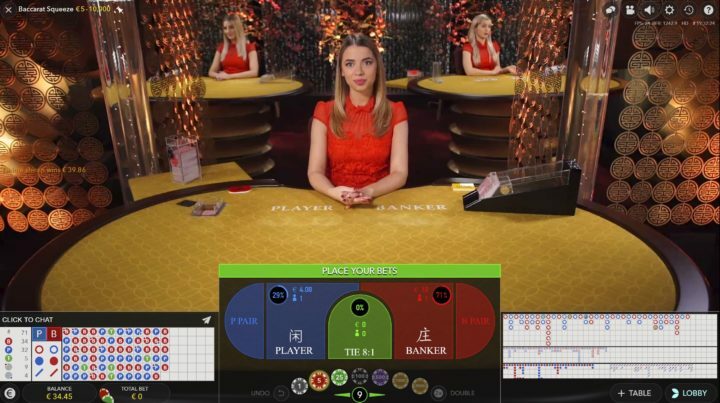 An automated card dealing and gaming with the casino one-to-one is better and if you are unsure whether you can properly concentrate on the game, there will be no other distractions. There are almost always no time limits, so you can think as long as you want. 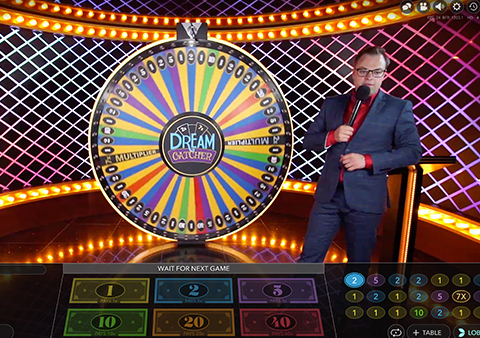 It is especially relevant for the beginners, but there's no authentic feeling that online live games can give you. The real dealer in front of the cameras, other gamers and real cards - this creates a more fun feeling of reliability, which is why many players are interested exclusively in the Live BlackJack games. 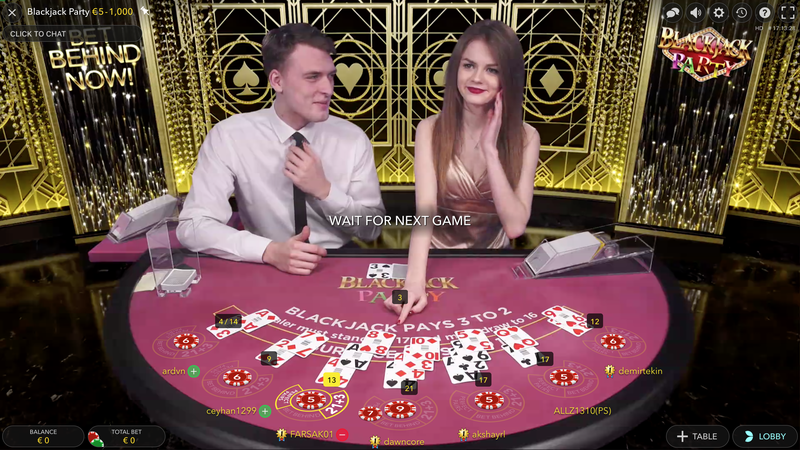 In addition, BlackJack online is also checked often as if it was a game in a real casino, to ensure that there is no fraud in the algorithm and you can be calm that everything is going well. In the standard casino, no matter how many players there are at the table, your goal is to win against the dealer/bank/casino (often the names are used differently, but the point is the same). The card dealer gives two cards to each player. He takes two for himself, the first of which opens. 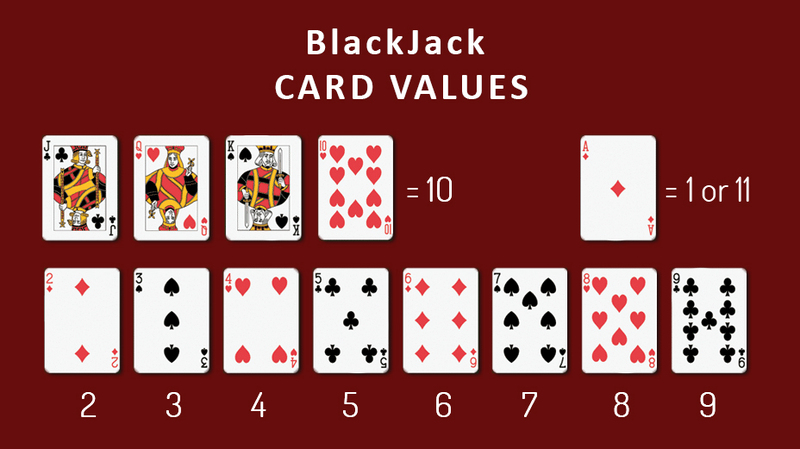 In some BlackJack variations the dealer takes only one card and waits for all players to end their actions. The chance to see the dealers first card gives you the opportunity to create a BlackJack strategy, evaluate the casino and increase your chance of winning. Your goal is to have a better combination than the casino - as big as possible, but not more than 21. All combinations above 21 are considered to be defeated (bust). 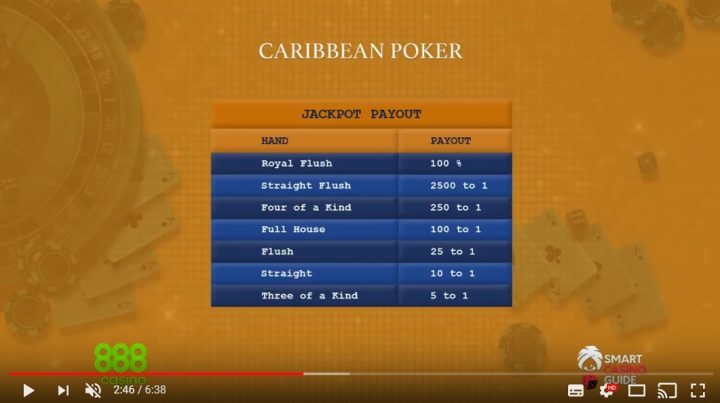 By collecting 21 points with two cards, you will find that you have BlackJack, so you can win, even if the casino collects 21 with 3 or more cards. If the casino also has BJ with two cards, the hands tie. If you win you always get as much money as you bet (doubling your money) - the payout odds are 1 to 1. But you'll always get more with BJ. Your winnings with BJ depend on casino and game variation you play, but usually, the payout odds are 1,5 to 1. Stand means that you do not want more cards. That is, you are happy with the cards you already have (2, 3, 4 or more - you can stop at any time). After, you will not be able to take more cards or take any other action, so that is the final amount of your points. For example, if you have a king, two and seven, then you have 19 points. Hit. You can take as many cards as you want until you exceed 21 points. When you collect 11 points, there is no risk to receive another card. However, with 12 points you have to evaluate whether to take another card or expect that the dealer will have less than you do. It is essential to know that by the standards the dealer must take cards if he collected 16 or fewer points. Once the bank hits 17 points, it can't receive any additional card. It would be best if you had this in mind when working on your strategies. Split. The same cards could be split. Once the cards are split your bet doubles, hence the risk doubles too. Please note that only the same cards which have the same value can be split (e.g. 10 and 10, 9 and 9). Even if King or any other face card has the same value as 10, you can't split. Double means that your bet can be doubled at any time. However, once you do it you can get only one card, and you can't take any additional cards. The question that might pop up for you: how do I know if it makes sense to double the bet and whether it pays off? It depends on your chosen BlackJack strategy and even on your flair. When the bank flips over an Ace, you can obtain insurance. Its price is half the size of your bet. 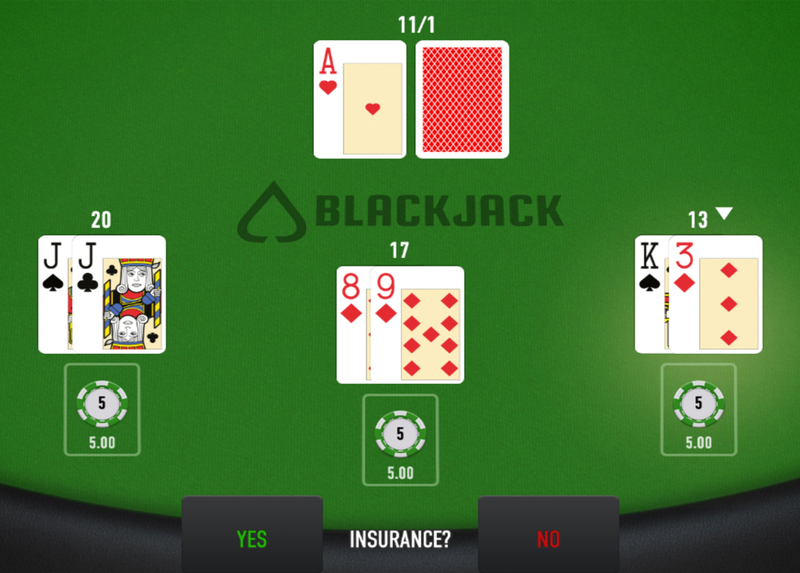 If the second card turns out to be in favour of the dealer and he gets the BJ, you will get the double insurance amount which equals your bet. It will decrease your loss. In other words, your full bet amount is returned to you. Cards in the range from 2 to 10 have the same number of points as their value. Jack, Queen, and King each have 10 points. Whereas Ace can have 1 or 11 points. The player chooses the value. The same as in many card games the Ace is a very desired card as it always means that you can gain the edge compared to your opponents. There are plenty of different strategies. Every gambler is given an opportunity to choose the most suitable one and to choose the best game logic. Some players follow the most popular and well-known strategies. Others prefer to wing it and do not develop any clear strategy for their game. We strongly recommend you to be very savvy instead of making reckless decisions. All in all, unfortunately, there is no such strategy which could guarantee the success of 100 percent. It is suggested to double your wager or bet only when you have 10 or 11 points. Getting another 10 points card is highly probable. A number of such value cards is the highest in the deck compared to the other cards. In such case scenario you would end up with 20 or 21 points and that is a very reasonable amount to claim your win. You can always take an additional card until you have 10 or fewer points in your hands. Once you reach the 11 points limit you are in the danger zone as you can get another Ace and end up with the least favourite combination of 12 points. It is recommended to stop taking cards once you reach the 17 points or more. 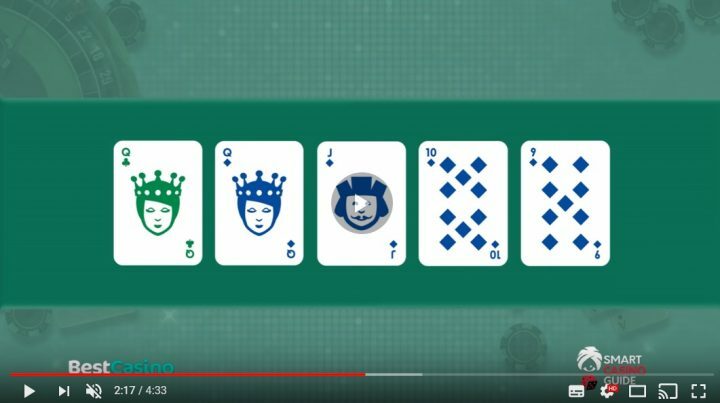 When you have a combination of an Ace and 8, you could receive another card and hope to get lucky, but 19 is a powerful result that can bring you the victory. Another card brings you more risk than adds value. As it was mentioned previously you can split only the same cards. It is not recommended to split a pair of 10 or 5. However, you should always split Aces. There are many discussions going on around splitting the pair of 9. But the pair of 8 is recommended to be split by all 21 BlackJack experts. Knowing the open dealer card can give you plenty of advantages, this is the reason why it is flipped over. When the bank has a 2 or 3 points card, you can consider stopping at any time especially if you have 13 or more points in your hands. When the bank has 4, 5 or 6, the same approach applies. Once you hit 12 points limit, you can stop. The risk that you outgo is much higher than the probability that the dealer wins. If the flipped card is 7 you have to apply a more risky strategy, you can't stop until you collect 18 points. The chance of winning with less than 18 points is almost equal to zero. To sum up, you have to use all the information that is given by the open card and adapt your game to reach the best result. This is the one strategy that has been talked about for a long time and might be one of the most used card strategies. 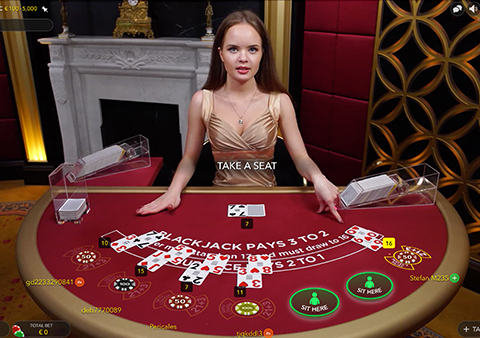 This strategy was first brought to action by Harvey Dubner in 1963 and it has been widely talked about by Blackjack enthusiasts. The next thing should be running a count of zero at the beginning of the deck. As you get cards revealed, you will subtract or add from the running count and this will be according to the point system in the initial step described above. On the third step, you will divide the running count by the number of decks that are remaining for you to arrive on the true count. This will be the part that newbie counters will not like. But the good news is that you need not to be accurate; an estimate will work for you. When you will get the true count, the greater it is the bigger bet you need to place. At this point, card counting becomes an art and not a science. 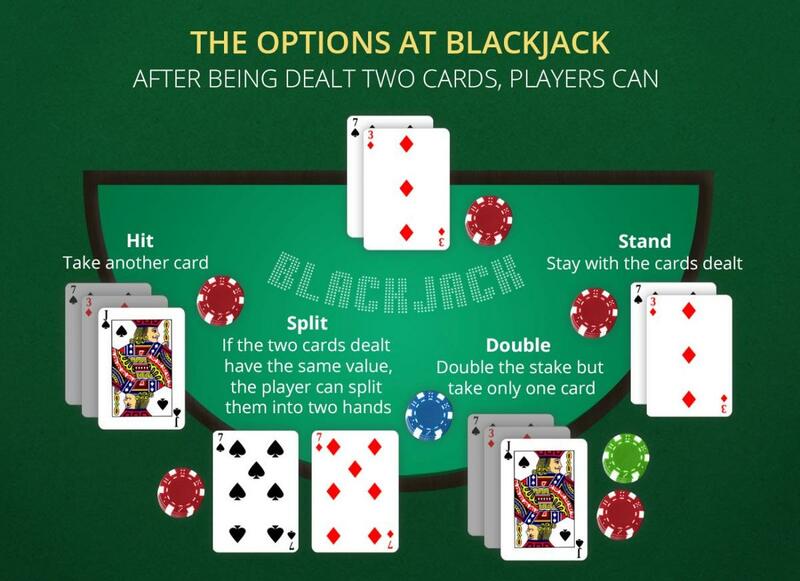 When you look at Blackjack books, you will learn in a better way how you should do the true counting. Note that dealers have also read about these patterns and older patterns will raise red flags and the way you get this done need to be in your unique style. This will come a long way in lowering the heat and getting the ratio of the maximum bet at the least and this is known as the bet spread. For some of the hands, you will play with regard to the true count and an index number table and not necessarily the basic strategy. If the count is big, you will be inclined to stand, split, double or surrender. If you want to try other strategies and have a decent bankroll, it is worth thinking about numerical sequence systems. But they can never guarantee you the 100 percent winnings. What they can give you is an increased probability to win if you are lucky that day. This system consists of a sequence of random numbers. It's a pretty confusing system so you might need some time until you can completely understand and use it effectively. Write down any 5 desired numbers (the length of the sequence can vary, but 5 numbers are thoroughly enough), e.g. : 5-4-2-7-1. When placing the wager you add up the first and the last number of the sequence: 5+1=6, so you place €6. 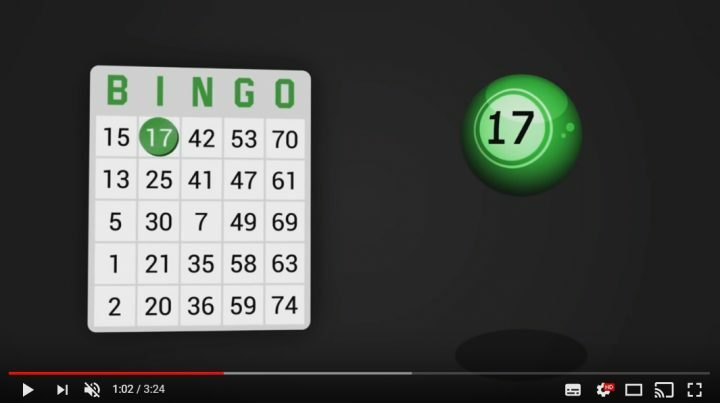 In case of a loss, you write the number 6 at the end of the sequence, if you win you delete the first and the last number from your sequence. Then add up the first and the last digit from your new sequence. To sum up, the size of the bet is created by adding the first and the last sequence numbers. In case of a win the numbers are eliminated. In case of a loss a new number complements the sequence, and it is calculated by adding up the first and the last number from the sequence. This is much more straightforward system. The main idea is that you double your bet every time you win. Every time you lose you decrease the bet amount until you reach the original wager. It is recommended to set your limits beforehand, in order to control the size of your loss. There are days when this system brings only losses. This sequence is also called a Pyramid betting. If you win the new bet is formed by putting the initial bet size and the sum that you won together. For example, you placed a bet of €5 and won another €5, then your new bet is €10. It is essential to decide the limit until you will continue placing bets, because eventually you will lose and if you do, then you will lose everything. It is recommended not to go over 4 times limit in a row. first bet 5, winning 5; second bet 10, winning 10; third bet 20, winning 20; fourth bet 40, winning 40. You can win €80 with a bet of €5, and that is not a bad result. The biggest flaw of this system is that you can lose everything, however, you have a chance to win a reasonable amount by investing a small amount of your money. That applies even if you do not get lucky several times in a row. Martingale system is the most popular not only in 21 card game. It is popular in many other casino games and other spheres of gambling. It is the loss doubling system when the player expects that sooner or later he will win. You place a bet and if you lose you double your next bet and place it again. You continue to raise (double) the previous bets until you finally win. The most important thing is not to hit the table betting limit which is designed by the casino to prevent players using such systems. In theory, there is a probability that you will not win 10 times in a row. This system requires strict order of actions. First of all, you need to choose the initial sum for the first bet. If you win you triple the amount of the second bet. The third bet has to be two times bigger than the first. And the last fourth bet amount is six times the size of your original bet. After one round finishes, you start over. Where to play 21 card game online? There are plenty of websites that offer you to play free BlackJack or to play for money. However, it is the most interesting to play where the Live games are. Clear and fair systems are also important. Every certified casino has to comply with a set of rules, so it means that it is safe to play in such casinos. We offer you to choose the most popular casinos that have already attracted millions of players around the world and allowed them to enjoy the game and win impressive amounts of money. There is a very high competition among different casinos, so each casino does everything to attract as many new clients as possible. Be sure to take advantage of the registration bonuses offered by each casino. Do not forget to check out the main casino features as well as license, terms and so on. 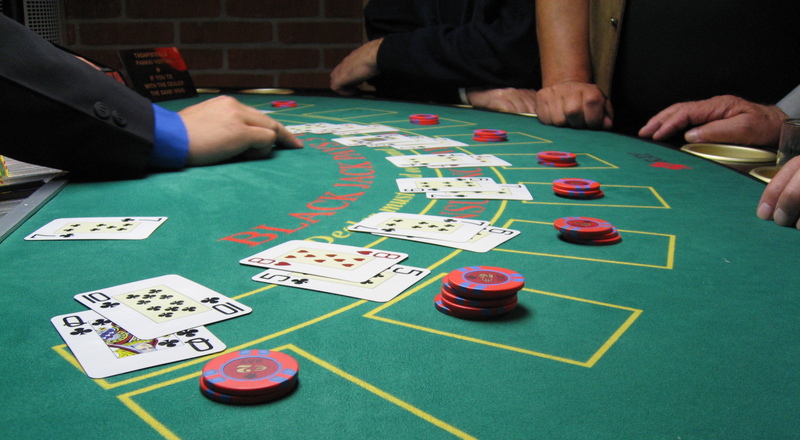 Find out the best online casinos to avoid distraction in the selection process.